The biker community is one of kinship, camaraderie, and fun. We can attest to the fact that being a social biker adds a new dimension to the riding experience and benefits everyone involved. In fact, anyone who rides is a member of the motorcycle club; the subgroups differentiate themselves in many ways. Ninety-nine percent of motorcycle club members conduct themselves with the utmost in dignity and respect. The motorcycle riders often portrayed on television are what bikers call the one-percenters—the 1% who give everyone else a bad name. These groups are not gangs, and prefer not to be addressed as such. 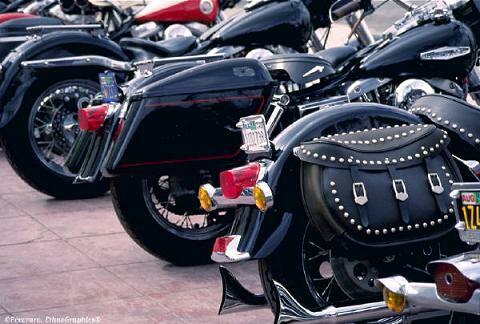 Joining a club or biker’s group gives you safety in numbers. When you’re traveling, you have people there to lend a hand in case of breakdown. If you need help with a personal issue or a legal issue such as running from blue lights, you have a safe place to talk and many minds to help you come up with a solution. A biker club is like any other club: it’s a group of friends you can trust. They’ll help you and your family any time you need it (and keep it quiet), make sure you’re all right, and do what they can. The words “brotherhood” and “sisterhood” describe perfectly what bikers consider their club to be. Many, if not most, biker’s groups do good works for charity, and those organizations will tell you that the bikers are the most generous and dependable donors and volunteers they have. Typically, bikers are generous with their time and money and consider it their mission to help those who are less fortunate. The bonds of friendship fostered in a biker’s group are long-lasting and deep. These are true friends and great companions who are dedicated to each other and consider themselves brothers and sisters—friends for life. The latest information about legislation. In every club, there are a few who stay abreast of the latest laws and regulations pertaining to motorcycles. Also, with so many people involved, the club stays informed about the biker’s life in general and relays that information to the rest of the group. Are you in a club, and what’s your favorite part of belonging to the group?